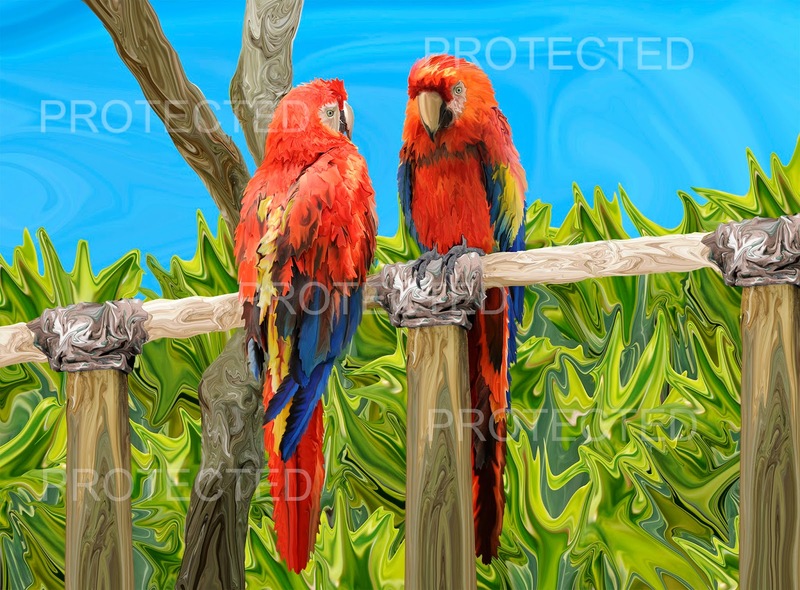 New artwork "Scarlet Macaw Parrots Perching!" Two scarlet macaw parrots are enjoying the day perching and taking in the beautiful sunshine on a clear blue sky day. They are simply gorgeous with their colorful red, blue, and yellow parrot perfect feathers. This is currently available only at Society 6, but it will soon be available in the other stores as well.